This season we got a chance to videotape an episode in the “Charm City.” The seaport city of Baltimore is known for its role in American history. 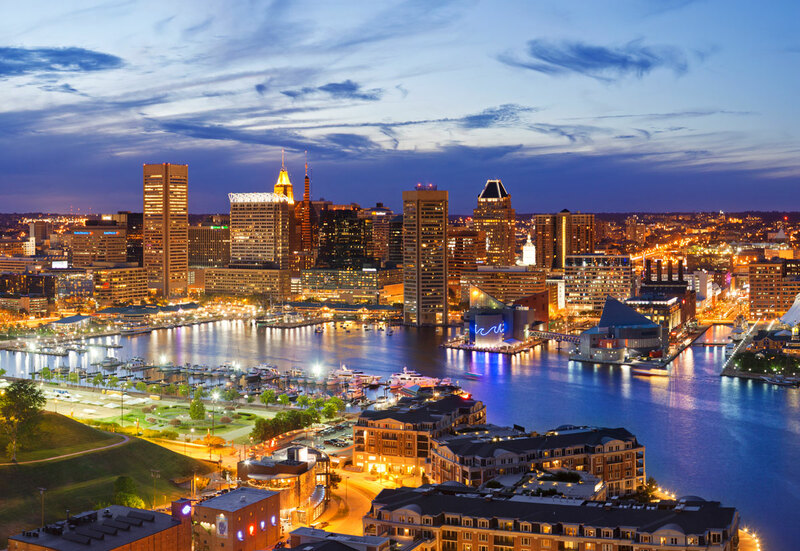 Outside of the nation’s creation, Baltimore offers exciting adventures for the whole family – from ferry rides in the harbor and a trip to the city’s aquarium to a trip to see the Orioles or Ravens play – the city offers activities that everyone will enjoy. You can’t really visit Baltimore without delving into American history a bit – the battle for Baltimore inspired the national anthem, and this year marks the 200th anniversary of the Star-Spangled Banner. Baltimore is celebrating in style, with events around the city celebrating this vital contribution to the national identity of the United States of America. 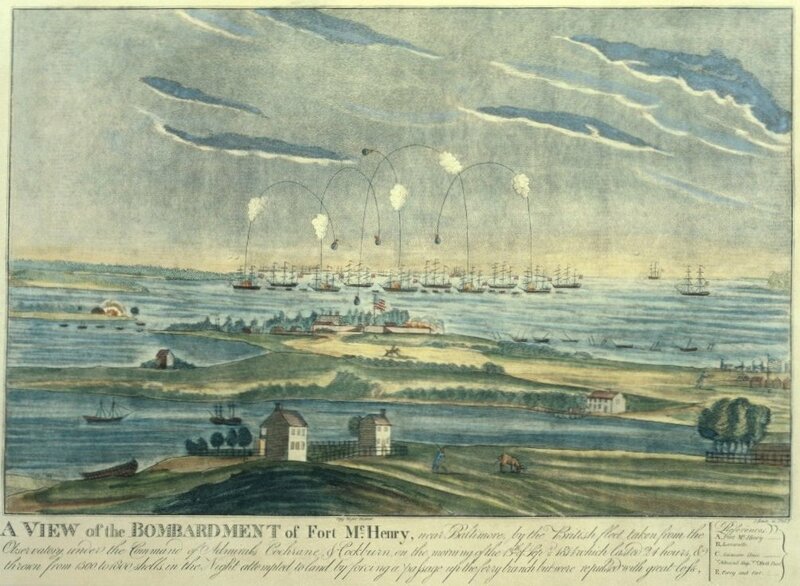 Battle of Baltimore, Fort McHenry bombardment. But what’s the story behind the song? The war of 1812 was tough on Baltimore – being a seaport city, it was unable to escape Britain’s onslaught in 1814, when the crown’s attention was no longer split between its fighting with the United States and the Napoleonic War in Europe. Baltimore was brutally bombarded, and Fort McHenry suffered extensive damage. The morning of September 14, 1814 was a happy, but bittersweet one for many Baltimore residents. 25 hours of bombs and rockets being blasted at the city and nearby Fort McHenry left their mark. 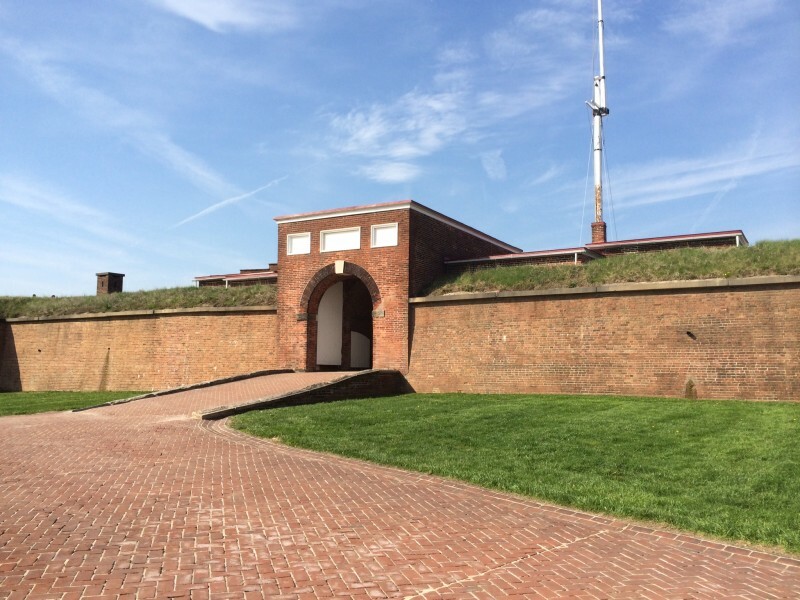 Fort McHenry’s soldiers survived the onslaught and defeated the British forces. They hung a flag made by Mary Pickersgill to celebrate their victory on the morning following the siege. That flag became the Star-Spangled Banner. Looking at the sight from a distance, amateur poet Francis Scott Key wrote the American anthem. Its lyrics reflect joy at the victory, but don’t hide the sadness created by loss during the battle for Baltimore. It’s easy to spot the battle scars on Baltimore’s oldest buildings, but there’s more to do here than marvel at how one battle may have changed the fate of the United States (not like that’s anything to shrug off!). The lists below are a few of our favorite spots in the city. They provide a view of Baltimore you won’t find in the Smithsonian, but one you’re sure to love. Before going anywhere else, check out this historical landmark. Shaped like a smaller version of the Pentagon, Fort McHenry has an equally important place in American history as its larger cousin. This stronghold protected the vital seaport of Baltimore from British battleships during the War of 1812, and likely changed the nation’s fate. The site isn’t just for history buffs, however. It offers a beautiful view of Baltimore harbor, and a pleasant afternoon outing for all ages. Built in 1983 by Drs. Elmer and Joanne Martin, this museum focuses its efforts on the preservation of African American history. Filled with life-size wax historical and contemporary figures of African descent who have made an impact on national and local history, the museum has more than quadrupled in size since it opened, and welcomes well over a quarter of a million visitors each year. One of the finest art museums in the United States, the Baltimore Museum of Art houses extensive collections of art from around the world. Multiple movements in art are a part of the collections, and include works from Rembrandt, and van Dyck, as well as numerous pieces by Henri and Pierre Matisse. Works by Gauguin, Cezanne, van Gogh, and many others can also be found in the museum, alongside Native American ceramics, textiles, and scrimshaw. Asian and African art, outdoor sculpture gardens, and Antioch mosaics are also part of the Museum’s holdings. 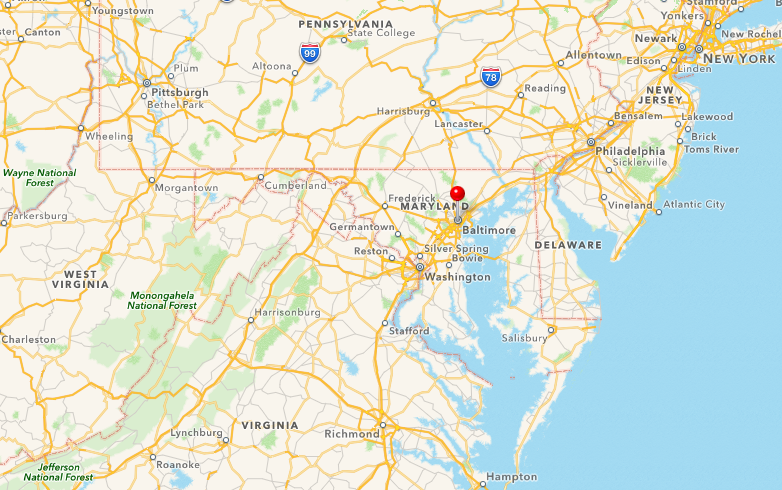 Just outside of Baltimore, this public face of the NSA is home to thousands of cryptologic artifacts. 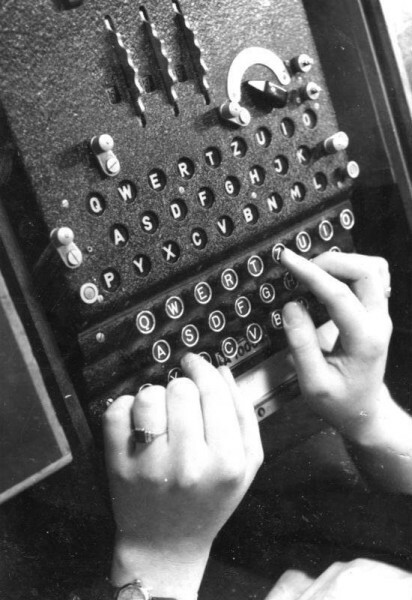 The museum provides a fascinating peek into the intelligence community, its tools, and its history. In addition to public exhibits, the museum is also home to an extensive library of codebooks, as well as unclassified and declassified books and documents pertaining to cryptology. Courtesy of gifts and donations from former cryptographers and historians of the profession, the collection has grown considerably since the museum opened, and now includes historical examples from Europe, interview notes, and John Byrne’s “Chaocipher.” The major artifacts to see here are their German Enigma machine and Purple Analog used in WWII. The writer’s life is not an easy one, and Poe’s is no exception. Although not a Baltimore native, he lived in the city for several years with his aunt, grandmother, and cousins. The tiny house they shared (no. 3 Amity St.) was once a country house, but now finds itself well within the city’s limits. Between 1833 and 1835, Poe is thought to have written 9 stories, 8 poems, and numerous reviews while living here. Love for the writer is the only thing that holds this house in place – it was nearly demolished at one point, and has received extensive repairs over the past several decades. 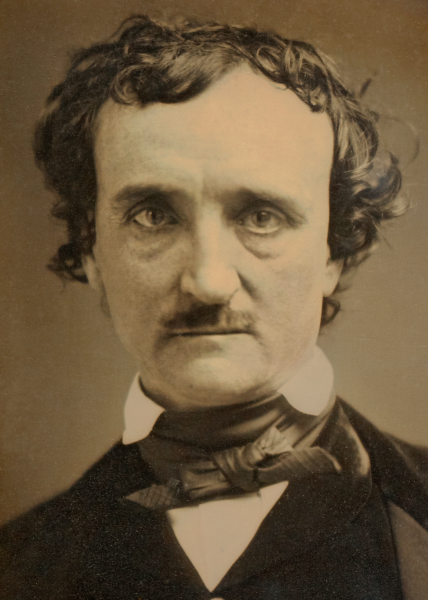 Poe died and was buried in Baltimore, and you can visit his grave, where at one time a shadowy figure known as the “Poe Toaster” left him cognac and roses annually. 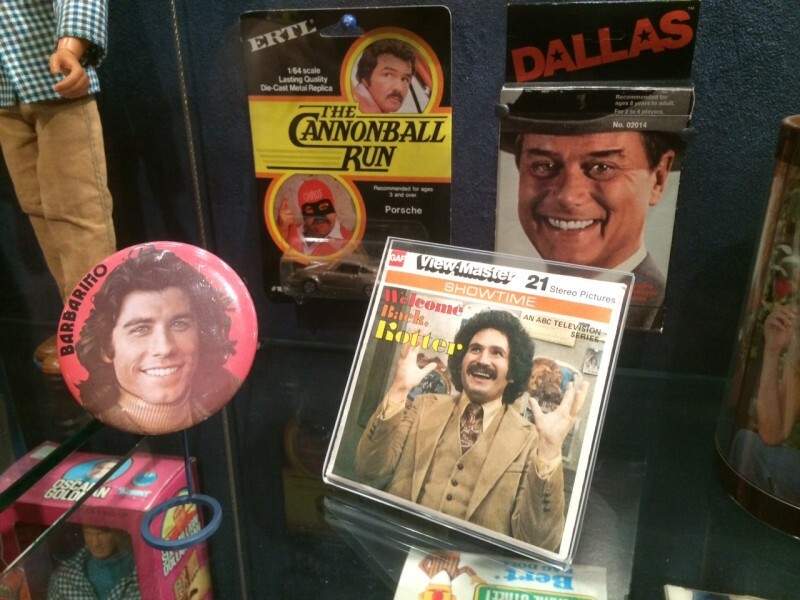 Dedicated to pop culture, Geppi’s isn’t your average museum. The collections here are of comics, toys, and cultural artifacts that did more than keep people happy – they reflected current events of the time, and sometimes even changed the course of history. Modern pop culture isn’t all that’s featured, however. You’ll find toys, trinkets, and artifacts from the 1700s through today in this museum’s fun-filled halls. Situated on the Maryland coast, Baltimore is heaven for seafood lovers, with crab as King on most menus. Baltimore’s crab cakes aren’t fried, battered, and made of crab flavored bread…they’re loaded with succulent crab meat and just enough Old Bay to give them a mild kick. Crab isn’t the only food Baltimore adores, however. Holding almost as much prestige as crab is an unassuming chocolate and shortbread cookie – the Berger. A culinary history spanning hundreds of years, three families, and potential extinction (via proposed bans on trans fats), the Berger cookie is myth, legend, and dessert magic. 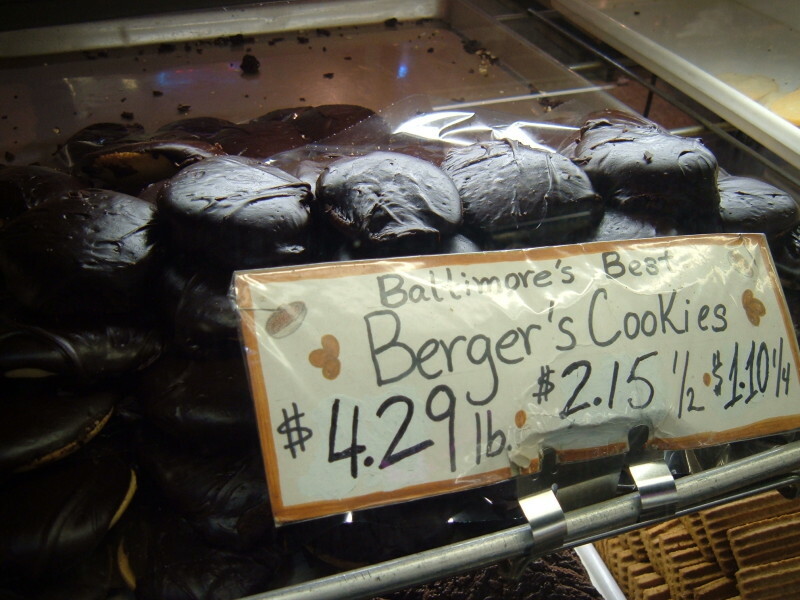 A local favorite, the Berger cookie is topped with fudgy, sweet chocolate. Its base is a buttery, rich shortbread. The combination might make a cardiologist faint, but is addictively delicious. Don’t expect to eat just one – they’re addictively good. Ask a Baltimore local for dining recommendations and you’re likely to hear about Rusty Scupper or the Annabel Lee Tavern. Although drastically different in atmosphere, both are perfect for nearly every occasion. Nestled directly on the inner harbor, Rusty Scupper is a name most visitors and Baltimore locals are quick to recognize – the food is great, the views impressive, and the service is excellent. 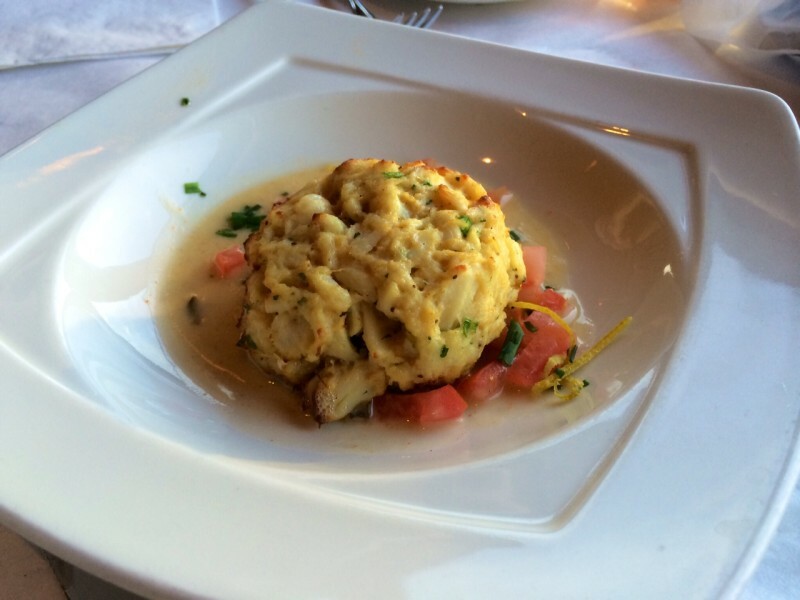 Offering a full service lunch, dinner, and Sunday jazz brunch menu, the crab cakes here are like no others. I tried my first crab cake here out of desperation – I’d never heard of Rusty Scupper, had a little time to kill, but needed to stay in the Inner Harbor, and was HUNGRY. But I also wanted seafood. Rusty’s was the closest thing, and worth every bite. If your budget is tight, order one of the appetizer menu. Trust me…it’s worth it. Succulent, flaky crab meat, just the right amount of spices (and barely any bread), fresh from the water – a twist of lemon to top it off, and heaven in every bite. My first visit to Rusty Scupper’s wasn’t planned, but now it’s a regular stop on my trips to Baltimore. I wouldn’t visit the city without eating here at least once. The Annabel Lee Tavern is a reasonably priced, delightfully decorated eatery. Offering items like duck fat fries that sound like a cross between modern and colonial cuisine, as well as seafood, quesadillas, meatloaf, and curry, this eatery embodies America in every bite. A blend of cultures and traditions, the food is artfully crafted by Chef Joe Shabazz. Unpretentious and decorated with whimsy and a love of Poe, the tavern itself is a history buff’s delight. Named after Edgar Allan Poe’s last poem, it opened in 2007. The building that houses the Annabel Lee dates to 1905, and has, to the owner’s knowledge, always been a tavern. Very good pictures and interesting article. Forced to pencil in Baltimore. Thank you.